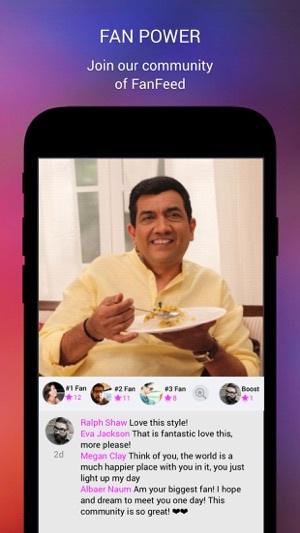 Follow Sanjeev Kapoor through his Official App smarturl.it/SanjeevKapoor. Download the free Sanjeev Kapoor app now! 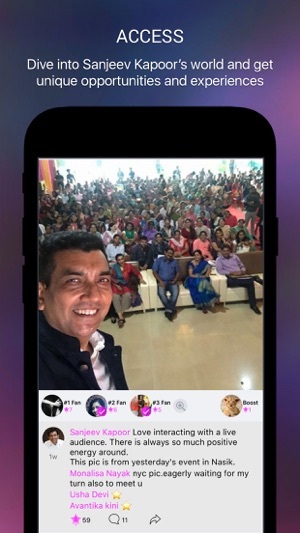 Stay connected to Sanjeev Kapoor on his official app. 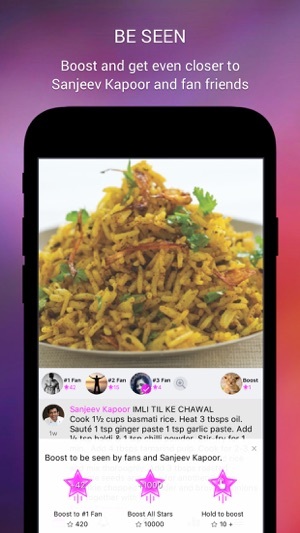 - Boost your comments with Superstars, become a Top 3 Fan, and be seen by Sanjeev Kapoor. - Follow Sanjeev Kapoor on social media. 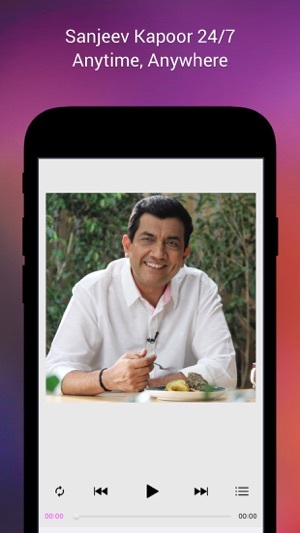 Download the Sanjeev Kapoor app now and #BeSeen! When you sign up for the subscription service for the first time, you receive a 7-day free trial at no charge to try out the service. The free trial ends 7 days after you subscribe regardless of whether or not you’ve used the app. Winner of the prestigious Padma Shri Award 2017, Chef Sanjeev Kapoor is one of the most recognized faces of Indian television. He was in people’s living rooms for almost two decades introducing them to the delights of Indian and international cuisine in his inimitable easy going and cheery manner. The show Khana Khazana was one of those trailblazing cookery shows on Zee. He has the proud distinction of being the only chef in the world to have his own channel – FoodFood. He has also been conferred the ‘Best Chef of India’ award by the Government of India. He was the Indian ambassador for UN’s Clean Cook Stoves campaign for the underprivileged of developing countries. He represented India as a Food ambassador in Spain under the Spanish Government’s Indian Future Leaders Programme (IFLP). He is ranked 73rd in the Forbes list of top 100 Indian celebrities. Sanjeev Kapoor has cooked for many dignitaries, including the Honourable Prime Minister Shri Narendra Modi. His website www.sanjeevkapoor.com with more than 15,000 recipes, attracts more than 10 million page views per month and over 4.7 million fans follow him on Facebook. He is on the board of Singapore Airlines International Culinary panel. His YouTube channel sanjeevkapoorkhazana is very popular with over 1 million subscribers. His recipe books are bestsellers, with more than 200 titles in 7 languages and bagged Indian and international awards. His restaurants Sanjeev Kapoor’s Khazana, The Yellow Chilli, Signature, Hong Kong and Options are considered the best in their categories not only in India but abroad as well. His Khazana brand of blended spices, ready to cook mixes, pickles and gourmet chutneys are super popular in US, Europe and Middle East, in addition to India. His business of world class kitchen gadgets, Wonderchef has enabled and continues to empower women, a cause close to his heart. 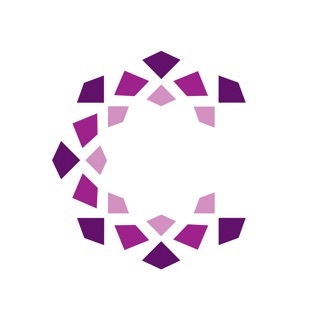 Beautifully designed and easy to find recipes.